Boca Raton is one of the top places to move to right now in South Florida. If you are thinking of moving there, you should go in style and hire a professional moving company that knows the area better than anyone else. We are that company! License and Insured Service – When you are choosing your local movers in Boca Raton, make sure that the company is both licensed and insured. 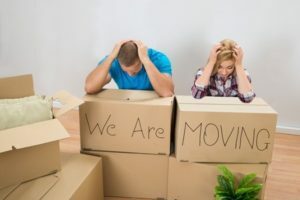 This is important because if one of your possessions were to break during the move, you might not get compensated for any damages. Top Notch Movers Inc. moving company has been ‫relocating businesses and moving individuals, families and businesses in Boca Raton and all of South Florida since 2013. Our mission is to be the most efficient, effective, and flexible moving company in South Florida by Fulfilling all of your moving needs, down to the smallest of details. We are there for you to help you move every step of the way, we have more experience per mover than any other company, and we have an established method that makes us experts in the field! Top Notch Movers is a professional and experienced local moving company, and we have your back. As local Boca Raton movers, we love offering our clients exceptional customer service that is unparalleled by other moving companies. Our ultimate goal is customer satisfaction and if you are not satisfied, neither are we. Call us today for a free estimate and quote! The BEST company I ever hired for the job! Finally, nothing is scratched and nothing is broken! This is a first time I didn’t do any furniture wrapping myself and still pleasantly satisfied with the outcome. It takes a lot to make me happy … Another thing I liked about this company – they have no hidden fees! Those guys work hard and they deserve 5-star rating! I do recommend them!